If you value your furniture and want it to last, we recommend a professional. There's no question, the stores are filled with chemical products for the DIY approach to cleaning your fine furniture. 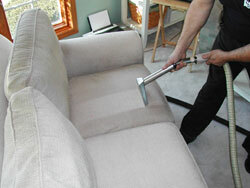 Majestic Steam cleans your upholstery using only the best and safest method - steam extraction. To ensure your carpet is cleaned to the highest and safest standards, we include the following steps in the cleaning process. 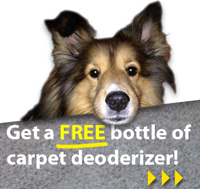 All cleaning solutions applied to your carpeting are safe for your children and pets and EPA approved. The extraction method allows the fabric to dry quickly, but may vary depending on the fabric, humidity levels and ventilation in your home. Upholstery Fabric can harbor more than dust! According to the American Lung Association "Carpet and furniture fabric can act as a "sink" for chemical and biological pollutants. Furthermore, dust, dust mites and other allergens can contribute to respiratory problems or other irritations in the home. Using Majestic’s steam extraction method, cleaning agents are applied to the fabric then immediately suctioned out with a powerful truck-mounted unit taking those harmful particles with it. This deep cleaning process gives you the confidence and peace of mind for the health of everyone in your home! helps maintain the longevity and overall appearance of your furniture saving you money. You may never know exactly what's in the store-bought cleaning products. Copyright © 2017 Majestic Steam. All Rights Reserved.